PHOENIX – Cosmas and Eloi Kwete, twin football standouts at Central High School, were too young to remember the terror and harsh living conditions their family of nine endured in the Democratic Republic of Congo before fleeing to a refugee camp in Zimbabwe. It’s probably just as well. But their older brother Oliver does remember. He was 5 at the time, old enough to recall the fear that came when fighters involved in “The Second Congo War” would rush through the family’s darkened home at all hours. Now, the three brothers are thriving as athletes in Phoenix. The twins are sifting through offers from several colleges to play football. 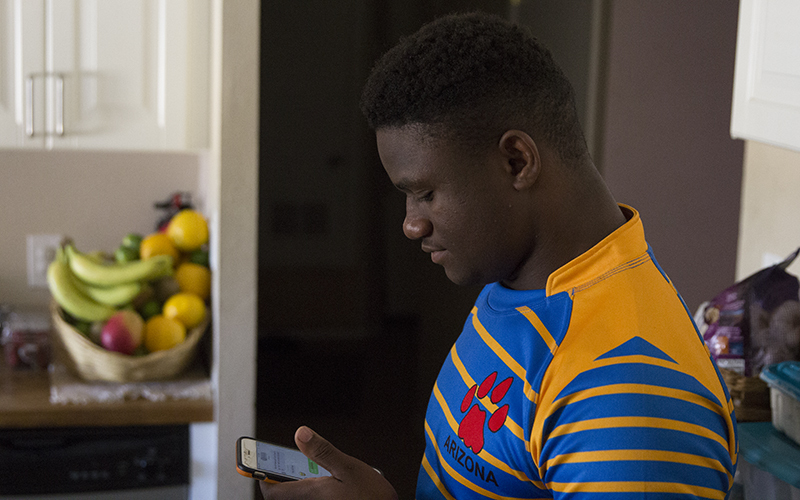 Oliver, who won honors for his one partial season of American football at Central, now is focused on his first sport, rugby. The five-year war involved seven countries, with the Democratic Republic of Congo serving as the battlefield. The International Rescue Committee estimates at least 3.8 million people were killed before it ended in 2003. When the family fled the harsh conditions, it began a journey that would include a 13-year stay in the Zimbabwe camp that eventually led to their life in Phoenix. Though less dangerous, conditions at the camp were just as challenging. The twins have plenty of those memories. Electrical service was sporadic and there was no running water, Eloi said. “In the refugee camp, we just played, and did not think about what other kids (might) have had,” Oliver said. Rugby, soccer, volleyball and basketball served as distractions for the brothers, keeping their minds off their surroundings. In addition, they soon realized that sports could provide opportunities. Oliver was the best rugby player of the three. In Zimbabwe, he quickly emerged as one of the best players in the country. In his first school tournament in 2012, his team won a bronze medal. Six months after that, he joined an academy renowned for its dominant rugby team. The academy inspired him to train harder, and after two months, Oliver left to join one of the provincial rugby teams. He was selected to Zimbabwe’s national team in April 2016. The move also opened a door the twins hadn’t considered before – to football. All three brothers enrolled at Central for the 2016-17 school year. Cosmas and Eloi were sophomores and Oliver a junior. They met Central football coach Jon Clanton at registration. The brothers, who had never played football, were just hoping to find a rugby club to join. Clanton persuaded them to join Central’s football team while they waited for the rugby season to start. Cosmas also played football right away, but Oliver took a different route. Playing in the final six games of the season, Oliver ran for 1,558 yards and scored 18 touchdowns and was named Central’s offensive player of the year in 2016. Oliver, however, had no interest in continuing with the sport. He still saw himself as a rugby player. Cosmas and Eloi stuck with football and flourished, with Cosmas playing outside linebacker and Eloi defensive tackle. Entering their senior season, each has offers from several Division I programs, including Pac-12 member Washington State for Cosmas. The Kwetes had to learn everything, beginning with the proper stance, he said. They quickly picked up techniques and got a grasp on their assignments in Central’s defensive schemes. Despite the lack of experience, Eloi earned All-Arizona honors in 2017 from The Arizona Republic/azcentral.com as a junior. And as a tandem, Eloi and Cosmas recorded 233 total tackles, including 65 for losses. They have flourished in the classroom, too. Oliver did not get his diploma from Central, but he still hopes to play rugby at the college level. First he must earn his general equivalency diploma, or GED. He dropped out of Central when he moved up to a men’s rugby league. 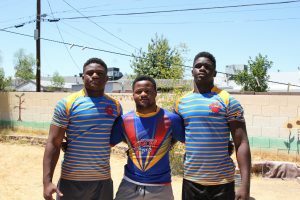 The Kwetes played together with the Phoenix Rugby Club after football last season, and their team won the state championship in the high school division. On the playing field, Oliver had just the opposite issue. He was the youngest player on his men’s league team his first season. But his team won its league championship and Oliver received another offensive player of the year award. 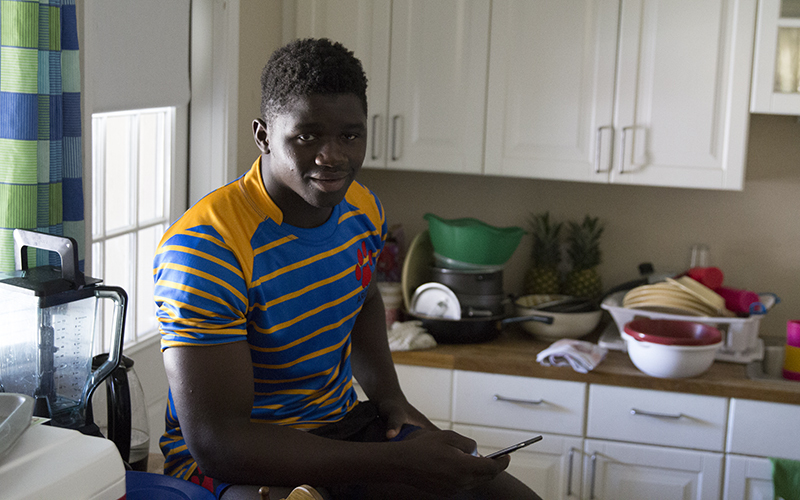 Several college programs, including some ranked among the top 20 by D1arugby.com, such as ninth-ranked Arizona and 11th-rated Grand Canyon, have shown interest if he gets his GED. For the first time, life’s path may lead the Kwete brothers apart. They agree it will be a sad time, but they know that the friends they left behind in Africa have it much worse. Already, the three have come a long way from the horrors of the Democratic Republic of Congo and war. The twins hope to play in the NFL one day, and Oliver has received an invitation to join a professional rugby club, although he said he turned that down for now. Oliver decided to pass up the pro team to seek a seek a college education and play club ball. He hopes to pursue a degree in sports management. The three brothers know, better than most, that opportunities can’t be taken for granted. As Cosmas and Eloi prepare for their final season at Central and Oliver plans for a college career, the brothers are looking ahead at a promising future.